Summary: Learn how hiking can improve not only your physical health, but your mental health as well in this article. Anyone who has experienced hiking knows how calming it can be for your heart and mind. There’s nothing like the peace and beauty of the great outdoors to lower your stress levels and remind you that your problems are just a tiny part of this big world. However, it’s not just due to our own experience that we know about the importance of hiking. Even doctors agree! Studies have found that hikers are more creative, as spending time outdoors increases attention spans and creative problem-solving skills. This increase is due to unplugging from technology, being in nature, sunshine and fresh air. 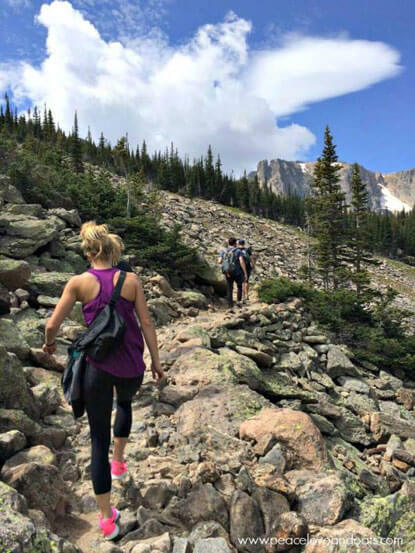 Additionally, people who begin to hike regularly are found to be happier and healthier than they were before. Research has shown that used as an additional therapy, hiking can help people with severe depression improve feelings of hopelessness, depression and suicide. Even if you do not suffer from depression, hiking still benefits one’s mental and physical health. Lastly, hiking isn’t just an adult activity. Researchers have found that children with ADHD who are exposed to “green outdoor activities” have reduced symptoms of ADHD. This also shows that it can help anyone with attention difficulties. Want to get outdoors? Take a look at your local Parks & Recreation website to find opportunities to enjoy nature close to home.